Hampton Chutney Co. (68 Prince Street): A new take on the beloved dosa, Hampton Chutney stuffs theirs with a variety of inspired fillings. If you aren’t keen on Indian cuisine, know that only one or two menu options actually feature Indian flavors. Think crispy crepe made of lentil flour stuffed with warm goat cheese, avocado, ripe tomatoes, and caramelized onions. Vegan friendly. 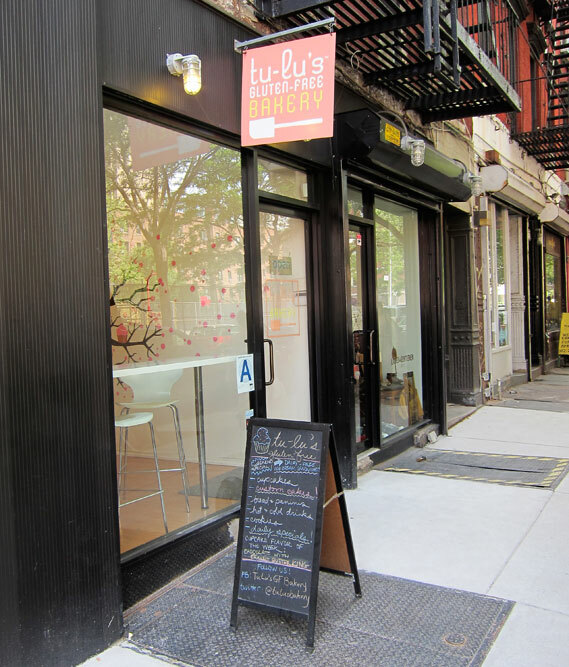 Tu-Lu’s Bakery (338 East 11th Street): Located in the heart of the east village, this 100% gf bakery really gets it. 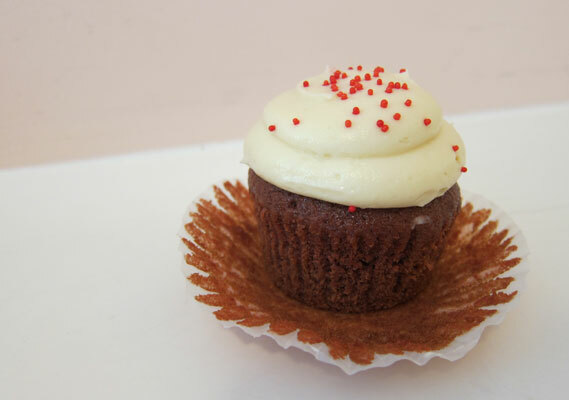 With plenty of dairy free and vegan desserts, Tu-Lu’s accommodates other sensitivities while also featuring items like fluffy red velvet cupcakes smothered in rich cream cheese frosting. Risotteria (270 Bleecker Street): No trip to NYC is complete without a stop in at Risotteria. The restaurant proudly features a mostly gluten free menu which includes endless freshly baked bread sticks at your table, along with pizzas, salads, risotto, desserts, and now on Tuesdays, gf pasta. Risotteria is very conscious about cross contamination, they stick a little “celiac approved” flag on your pizza so that there’s no question in your mind about what’s what. Keste Pizza and Vino (271 Bleecker St): I actually haven’t had a chance to try Keste’s gluten free menu, I thought I’d include it just because it’s right across the street from Risotteria and they had a big sign in the window explaining that they offer gf pizza on Mondays and Tuesdays. If you get a chance to try it let me know how it is. Pop Bar (5 Carmine Street): Located in the West Village just steps from Risotteria is Pop Bar, a gluten free friendly popsicle bar that uses all natural ingredients and has a number of delicious toppings (only 2 are not GF). While they’re a bit pricey at around $4.00 a pop, the novelty of this place and the quality of the product is definitely worth it, especially on a hot summer day. Lilli and Loo (792 Lexington Avenue): Gluten free Chinese! How often do you hear those words in the same sentence? Kung pao chicken, crispy fried spring rolls (taste like egg rolls), Singapore noodles, Thai chicken lettuce wraps…It’s hard to go wrong with someone who’s been deprived of these beloved flavors for so long. Ask for the gluten free menu and take your time ordering. Otto (1 5th Avenue): Great Italian place right off of Washington Square Park. Otto serves gluten free pasta and some amazing gelato for dessert. S’mac (345 E 12th Street): This one is at the top of my list. It’s gluten free macaroni and cheese and it’s baked in a cast iron skillet. The to-go style atmosphere isn’t much (expect to be seated at a high-top table), but the mac n’ cheese will knock your socks off. This is by no means a comprehensive list of gluten free restaurants in Manhattan. There are dozens more and I plan to share them with you in the future! I can eat the wheat but I still love your blog. We ate at S’Mac in February and loved it. Also ate at Risotteria and Tu-Lu’s. I just heard that Shake Shack is gluten free. Have you been there? 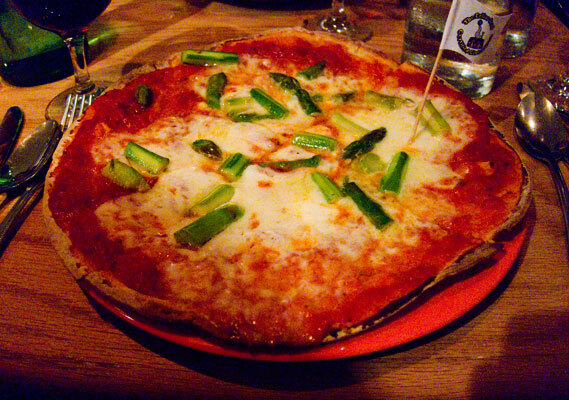 The next time you’re in NYC, you HAVE to try Pala Pizza (http://www.palapizza.com/) . It’s so good, my mom and I cried with joy the first time we had it after not having good pizza for a few years!